This look combines bohemian chic and modern lines. 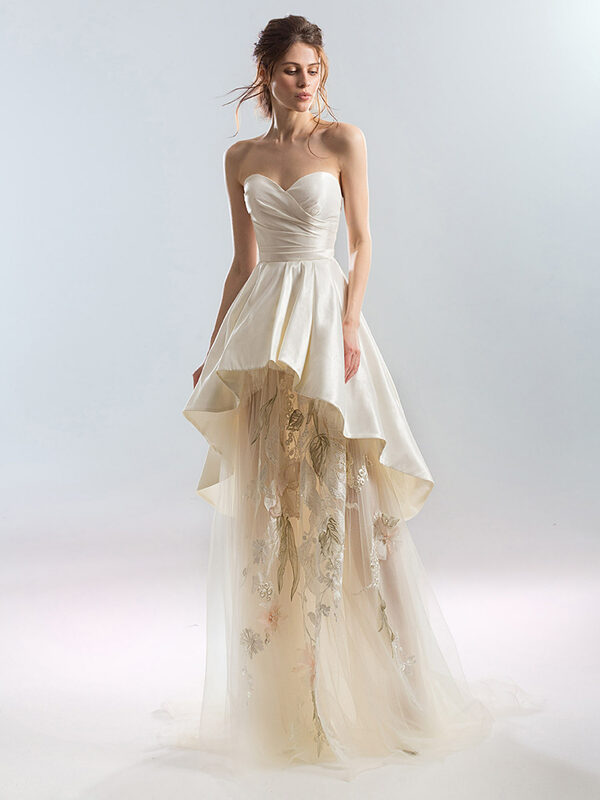 A strapless sweetheart A-line wedding dress with a peplum layer over a fine tulle skirt. The skirt features floral lace details and intricate embroidery while the bodice has a wrapped detail and tie up back.